Please note: This is a custom, made-to-order item. Please check my shop announcement for my current lead time, and for my policies on custom work. 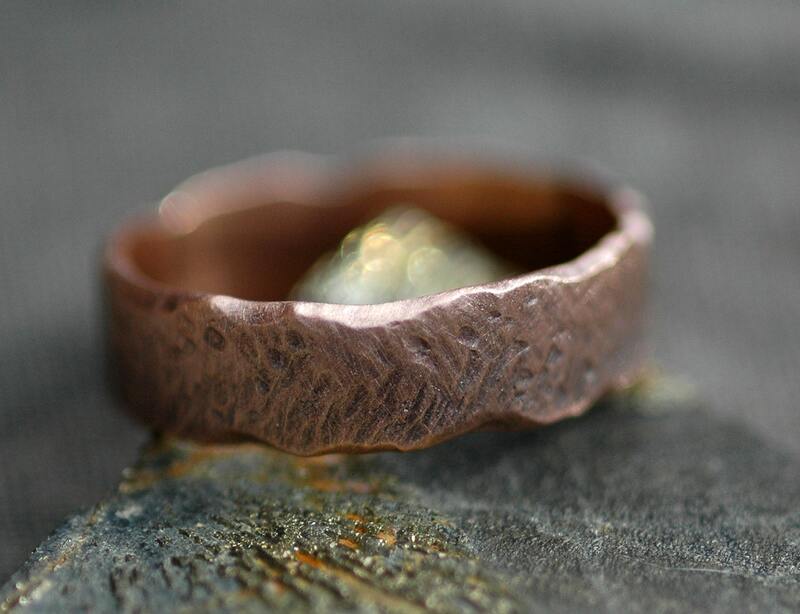 This is a solid gold wedding band, made of custom-milled recycled gold. Rose gold is loved for its rich, pinky overtones as seen in the photos. In this listing, you may also order this ring in 14k yellow or white gold, or 18k yellow, rose, or white gold. I form each band from a thick strip of 14k gold. 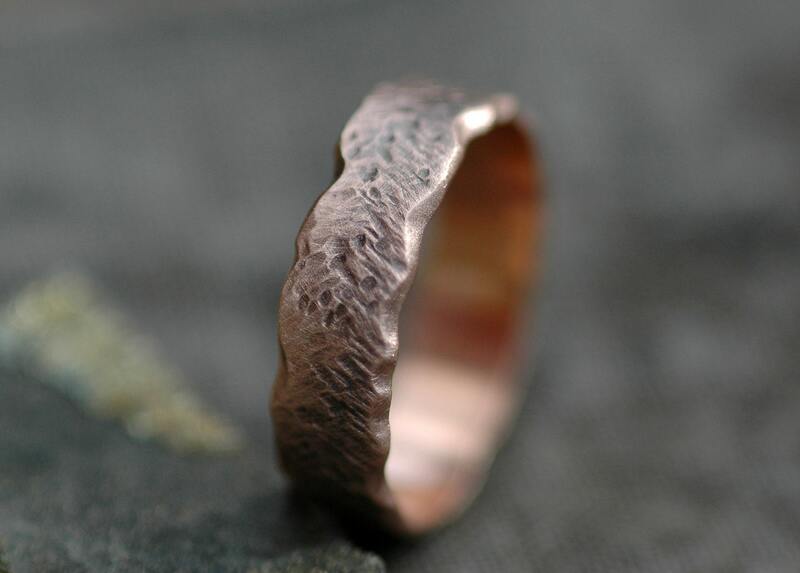 The ring in this listing is 6mm, although I can also create one in 2mm, 4mm, 8mm, or 10mm wide gold. Each of the rings has a thickness of 1mm. The photos show a herringbone texture on the ring, with some additional texturing added in an additional layer of hammerwork. The insides are polished to a high shine. 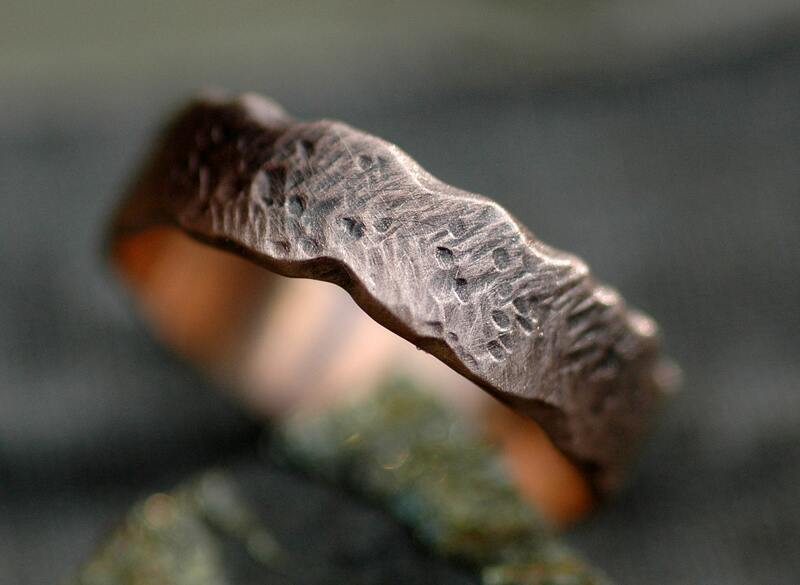 The edges of the ring are carved and sanded to create an organic, undulating, wave-like edge. Please note that the different colours of gold will texture slightly differently- yellow gold will take a sharper mark than rose gold, which in turn, takes a sharper mark than white gold. 18k of any colour takes a sharper mark than 14k of the same colour.